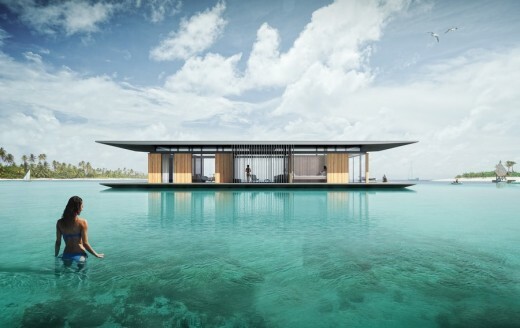 The Floating house was designed for French developer H2ORIZON, that specialize in construction of floating structures, by Singapore-based architect Dymitr Malcew. The main goal of the project was to design a house that impacts surroundings in a most minimal way, but at the same time offers flexibility and out of the box living experience. 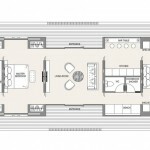 All rooms are designed in a way to provide maximum of visual connection with surrounding landscape. Master bathroom, bedrooms and living room have direct access to the terrace around the house perimeter, making house very open and blend with environment. 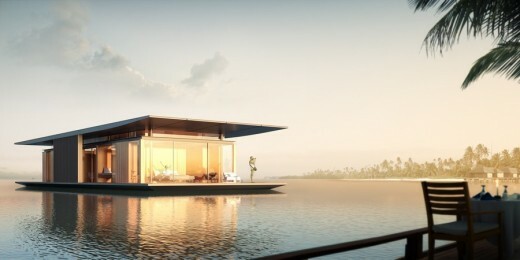 The base of the house is constructed of floating platform that gives great flexibility of location. 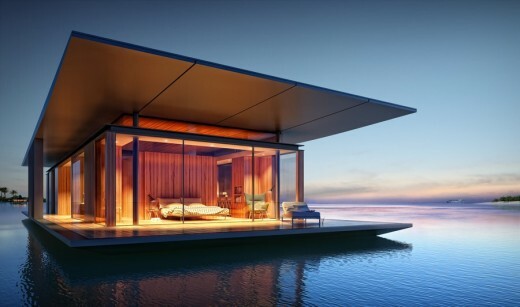 The house can be easily docked at marina or pier on the lake, river or bay. Roof structure is carried by system of columns separated from curtain wall, this solution allows for micro-movements caused by uneven water surface.